Advice on what to if your smartphone gets stolen. 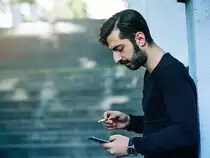 All it takes is a moment of carelessness, an open handbag or an opportunist pickpocket and your smartphone can disappear from right under your nose. Here are some of the things you should do if your smartphone gets stolen this summer. It’s highly likely that your smartphone was stolen while it was switched on and ready to use. Quickly call your mobile operator to get your line blocked before the thief has the time to use it. That will prevent any .. Previous PostRead about a smartphone keyboard created for the blind.Next PostRead about the history and success of the very popular WhatsApp?